After receiving info about this place's apparent abandonment we found very little on the site as it had been well hidden by forums. After visiting here we have sat on these photos releasing nothing until we started to see the first public reports. 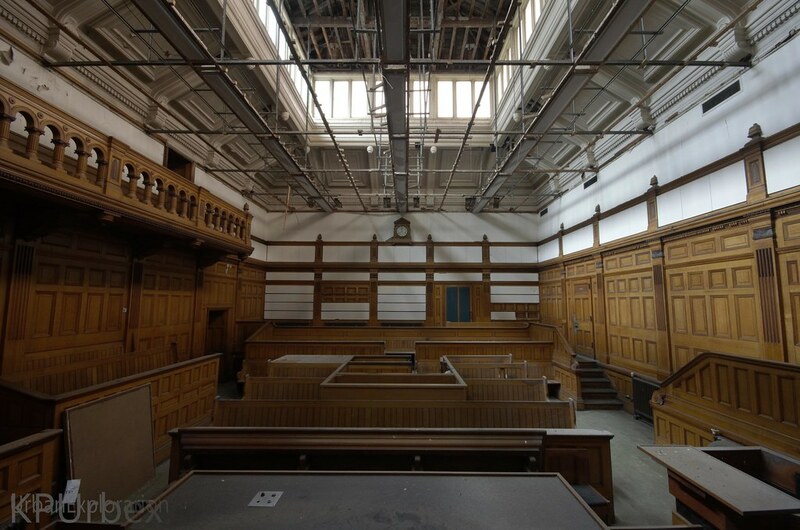 The building itself comprises of a courthouse, fire station and police station. 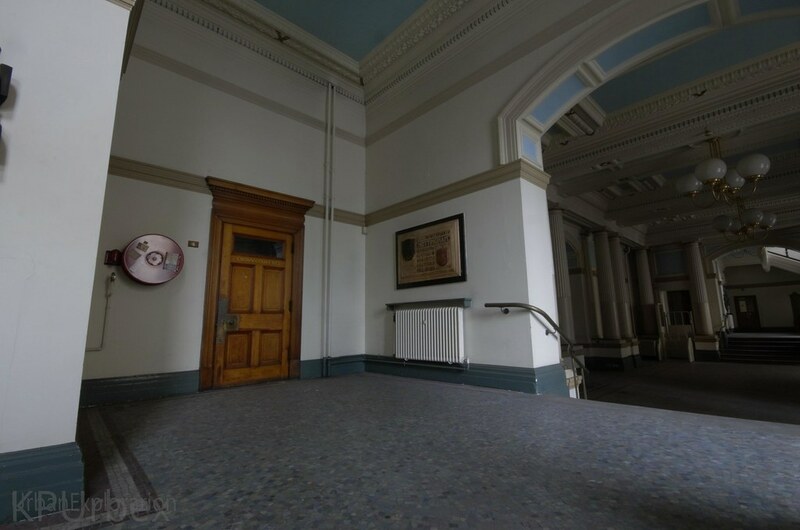 The building dates back to the late 1800's with it becoming disused around 2010. 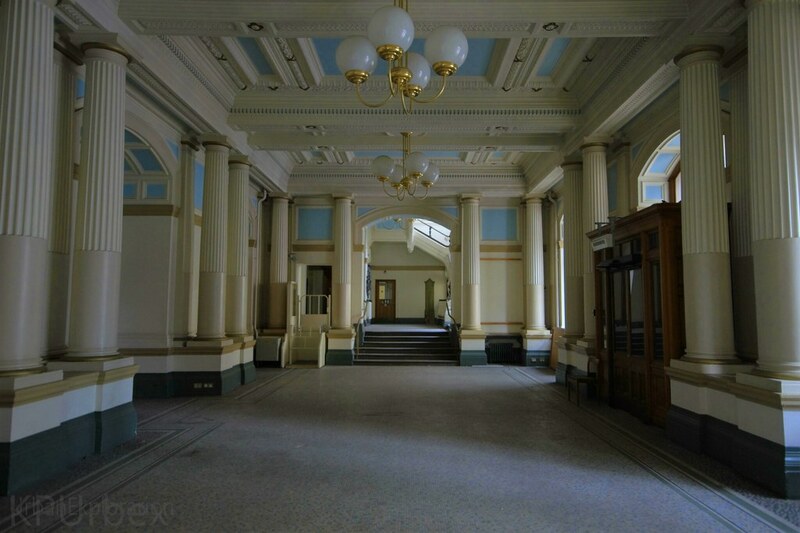 The building it'self is known as the "guildhall" and is now under renovation for conversion into a luxury hotel. At the time of our visit almost everything water and electric worked this was from the Lights to the water heaters and even the lift as well as toilets and taps. This also meant alarms were also active with most sensors showing a red beam at the slight hint of movement, thankfully all apart from the underground cells had not been set. 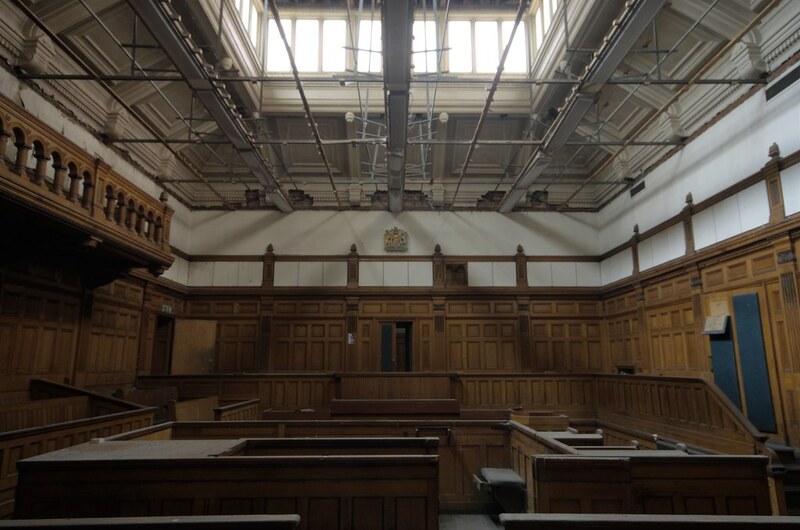 In this visit we had only been able to access the Courts and offices joint on. The fire and Police stations were both too difficult to enter. Once inside we found ourselves searching a way to the courts, our main target, to do this we had to first cross an overhead walkway bridge thing. Once in the corridor we noticed police pull up meters below us we stayed down and waited. Eventually, after 20 minutes, they drove off. After this we found ourselves in the courts. Towards the end of our explore heard a crashing then a voice from down the hallways, that was our moment to move. I'll add more photos as I finish sorting them out. Last edited by KPUrbex; 21st Mar 19 at 15:37. This should still be non public I’d say mate. Great pics though. Thanks a lot. The site has now started renovation, according to a friend that went a week or so after us. Good to see it on here, it's a great set of buildings! Good photos too. Thanks a lot, Glad you liked it. I'm not entirely proud of the photos things like ISO too high, not exactly center, Slightly over/under exposed does ruin the quality never the less at least you and others liked them. Thanks glad you like it, will be a little wile till the my next reports.